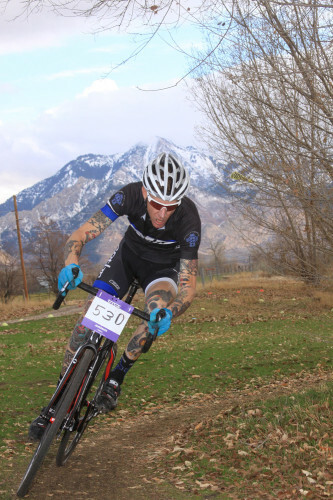 August 26, 2015 – The Ogden CX Race will be held in Ogden, Utah on September 20, 2015. The race is planned to be a national level race with a cash purse of $10,000, which will be split equally among the men’s and women’s fields. We asked organizer Bryce Olsen of TRP Brakes about the event. Cycling Utah: Tell us about the race. What is the inspiration for the event? What will the event feature? Ogden CX: We’ve been wanting to have a dedicated area for cyclocross training and racing in the Ogden area. Ogden has been fortunate to have been host to several different national championship events in different cycling disciplines and we have a goal of bringing the national CX championships to Ogden in the near future as well. The county has given us the green light to use this land as a dedicated cyclocross park and the race we are organizing is a sort of christening and celebration of the park. Cycling Utah: Tell us about the new cyclocross park (what is the official name of the park). Where did the idea come from? Who has been working on it? Where is it, and can you describe it? Ogden CX: Right now the name of the park is just Ogden Cyclocross Park (or Ogden CX Park). It’s on top of a covered landfill that the county now uses to harvest methane gas for energy production. Don’t worry, you can’t smell the gas! Lance Larrabee, Brand Manager of TRP, has been the driving force behind the project and has brought a lot of local organizations and riders on board to help out, including: Ogden City, Weber County, Weber Pathways, Goal Foundation, Jason Sager, Justin Lindine, and employees from Enve, Hyperthreads and other local industry businesses. Just to name a few. CU: What categories are you offering? What is the prize list? Can you generally describe the course? Ogden CX: We have a full list of categories from A to C for both men and women as well as categories for Master’s and Junior’s as well. We’re going to have some incredible prizes from some of the local industry businesses as well as bike shops. Specific prizes will be revealed closer to the race. The course is quite varied and includes some fast sections, punchy hill climbs, a downhill sandpit and some off camber turns. CU: What top local and national names have registered so far? Ogden CX: The current registration list can be found on the BikeReg site. CU: Who is the behind the event? Can you tell us about the promoter and also the race logistics team? Ogden CX: TRP Brakes are heading up the logistics of the race. We brought in Brad Ross from Oregon to design the course and handle running the race on raceday. Brad is behind the Portland Cross Crusade Series, CX National Championships, Cascade Cycling Classic, and other top level races. CU: Who are the sponsors that you’d like to thank? Ogden CX: There are so many people who have been involved with this project, I’d hate to forget somebody for this article. We have a full list of sponsors on the website. Ogden CX: There have been a lot of things happening this year to grow the sport of cyclocross in Utah and I’m really excited to see what’s happening. Marek always puts on great races with the UTCX series and Joe Johnson is killing it this year with the P-Town Cross series and the clinics he’s organized with Jamey Driscoll and Jonathan Page. Fun stuff.